Joins us for Happy Hour! Join IPS Solar for a customer & client appreciation happy hour. Our event will take place at ABLE Seedhouse + Brewery, where we recently installed 100 solar panels in coordination with Hillcrest Development. 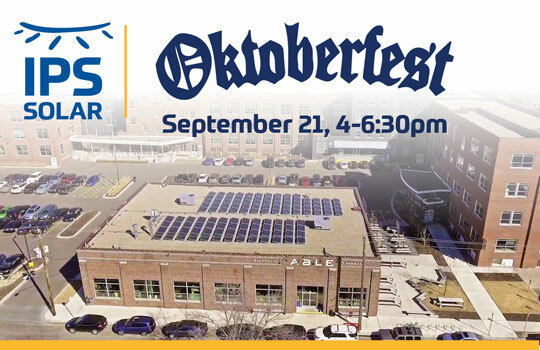 Enjoy solar-powered beer and appetizers with our team as we celebrate a special Oktoberfest-themed happy hour. Prost! This entry was posted in Events, IPS Solar on September 1, 2017 by Kyle Wehnes.